French Club AJ Auxerre has confirmed that Harambee Stars captain Dennis Oliech will not play for them next season after reaching an agreement with Turkey’s Kasimpasa Spor Kulubu. 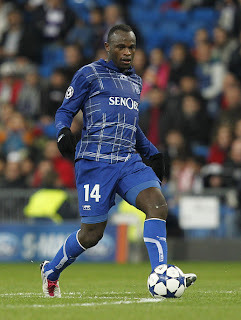 The Istanbul based club was recently promoted to the first division and will serve as a relief to Oliech whose club Auxerre was relegated last season from Ligue 1. He joined AJ Auxerre from FC Nantes after they were relegated from Ligue 1 in 2007. Turkey’s Super League is popularly known for football giants Fenerbahce, Besiktas as well as Galatasaray. In other football news: Tuesday morning, coaches who sat for the CAF Level B and Level C course in 2011 will be awarded their certificates by Football Kenya Federation (FKF) in a ceremony presided by its chairman Sam Nyamweya. Some of the top coaches to be awarded are former national team coach Zedekiah Otieno, Stanley Okumbi, Ken Kenyatta, Ranger’s James Nandwa and Leonard Saleh. The friendly match between Kenya and Botswana postponed to Thursday. The Botswana will jet in the country tomorrow for the match that will be played at the Nyayo National Stadium and kick of at 1800 hours.